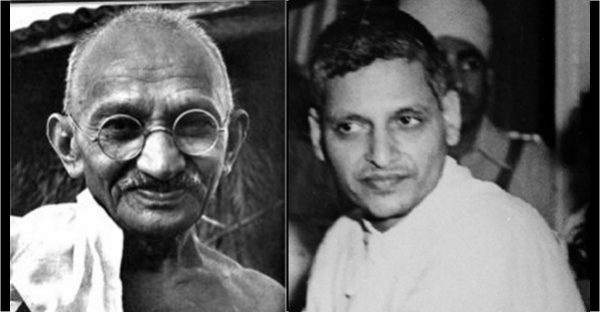 Nathuram Godse’s condemnation for the murder of Mahatma Gandhi cannot detract from the extraordinary cogency of his critique of Gandhi’s political strategy throughout the independence struggle and a fundamentally misconceived policy of appeasing Muslims regardless of long term consequences. 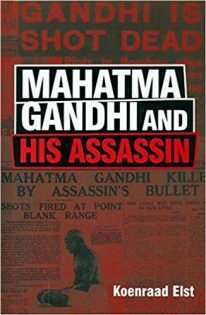 Historian Koenraad Elst has entered this crucial debate on the murder of the Mahatma with a skillfull commentary on the speech of Nathuram Godse, to the court that sentenced him to death, the verdict he preferred to imprisonment…..
“This section summarises the background of the agony of India’s partition and the tragedy of Gandhiji’s assassination. Neither the one nor the other gives me any pleasure to record or to remember, but the Indian people and the world at large ought to know the history of the last thirty years during which India has been torn into pieces by the Imperialist policy of the British and under a mistaken policy of communal unity. By “one hundred and ten millions” is probably meant “one hundred and ten lakhs,” i.e., eleven million, a reasonable estimate of the number of persons displaced by the Partition. By any standard, this wave of refugees amounted to a terrible failure of Gandhi’s policies, yet the Mahatma is not known to have criticized his own policy decisions in terms of their role in the escalation towards Partition. By Gandhiji’s “metaphysics” and “primitive vision,” Godse means the seemingly irrational concepts like “soul force” and the “inner voice” which Gandhiji routinely invoked, and which took the place of cool strategy. “Eccentricity” refers to Gandhiji’s gimmicks, such as his half-naked dressing habits, which were all the more bizarre given that Gandhiji, unlike most Indians, had worn cumbersome Western suits, ill-adapted to the Indian or African climate, for decades. Winston Churchill, a man of the world who was comfortable with ethnic peculiarities, considered the “half-naked faqir” Gandhi as outlandish even for an Indian. “Whimsicality” seems to refer to the lack of strategic consistency in his policies, which drifted from one extreme to another, e.g., from abject collaboration with the British to head-on confrontations; from letting intra-Congress democracy take its own decisions (e.g., the election of Subhas Bose as Congress president) to challenging those very decisions by means of ostentatious fasts; from boycotting the 1931 census count to accepting power divisions based on the resulting census figures; from promising to stake his own life for the prevention of Partition to meekly accepting the Partition on the plea that “the people” had chosen it. A glaring example of Gandhi’s whimsical policy shifts is his changing the course of the Civil Disobedience Movement of 1930-31. The agreed aim of this mass agitation was complete independence, nothing less. Yet Gandhi threw the movement into disarray by suddenly formulating far more modest demands. These were mostly conceded and included in an entirely individual pact between himself and Viceroy Lord Irwin (March 1931): promise of future parleys on constitutional reform, release of prisoners, restoring confiscated property. Majumdar nonetheless credits Gandhi with one undeniable long-term gain, viz. the Viceroy’s readiness to treat Congress as an equal negotiation partner for the first time. A few weeks later, Congress at its Karachi session also ended up approving the step which Gandhi had unilaterally taken, though “the resolution of the Congress endorsing the Pact is a curious example of self-delusion and an attempt to mislead the people” (obscuring the Pact’s continued acceptance of British control over vital matters like defence, foreign affairs and finance). Gandhi had to force a reluctant Nehru to sponsor the resolution; the self-delusion and attempt to mislead were Gandhi’s own input. The Congress delegates’ ultimate submission to Gandhi’s will cannot alter the fact that Gandhi had undemocratically overruled the will of Congress, whimsically imposing an unexpected new direction on the freedom movement. Click here to buy Mahatma Gandhi and His Assassin. Featured image courtesy: Goodreads and Pinterest.